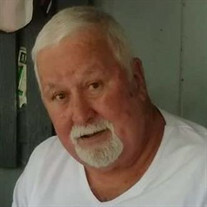 Mr. Daniel John Bennett, age 71, of Lawtey, Florida passed away on November 20, 2018. He was born on April 30, 1947 in Highland, Florida to the late Johny Bennett and Ms. Joyce Pinnell Bennett. After graduating from Union County High School, Mr. Bennett joined to United States Coast Guard where he served on an ice breaker ship. After serving four years in the Coast Guard, he moved back to the Lawtey area and went to work at Cecil Field as fire and rescue personal. During this time, he also enlisted in the Florida National Guard and served almost 30 years until his retirement. In his spare time, he loved to live life. He rode motorcycles, fished, ride through the forest, enjoyed a good bar-b-que, and most of all, he enjoyed living his own life. He had no regrets. He will be deeply missed. He is preceded in death by his father, Johny Bennett. Mr. Bennett is survived by his two daughters, Sarah (Jason) Norman and Amanda Bennett both of Lawtey, FL; his mother, Joyce Bennett of Bristol, TN; grandchildren, Cierra, Breanna, Tristan, Jaelynn, and Judson all of Lawtey, FL; his best friend, Susie Bennett of Lawtey, FL; siblings, David (Betty) Bennett of Keystone, FL, Diane Bennett of Bristol, TN, Douglas (Cathy) Bennett of Starke, FL, Dean (Sharon) Bennett of Lake Butler, FL, and Darlene (Chuck) Perez of Keystone, FL. Numerous nieces, nephews, and cousins also survive.